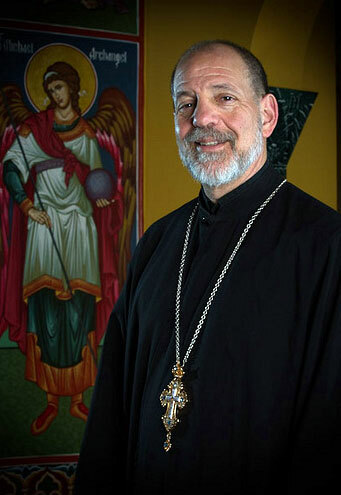 It is with heavy hearts that the Saint Tikhon’s community learned of the Very Reverend Dr. Alexander Atty’s decision to step down as Dean and Chief Operating Officer of the Seminary due to issues of illness. Father Alexander went on to describe the great blessings he had received in serving the students of the Seminary and asked for the community’s prayers for both him and his family. The Saint Tikhon’s community wishes Father Alexander all of God’s choicest blessings as he undergoes medical treatment, and asks for the prayers of the entire Church. Words by the President of the Seminary, His Beatitude, Metropolitan Tikhon and the Rector of the Seminary, His Grace, Bishop Michael, are posted on the Seminary web site.